Gold bullion. 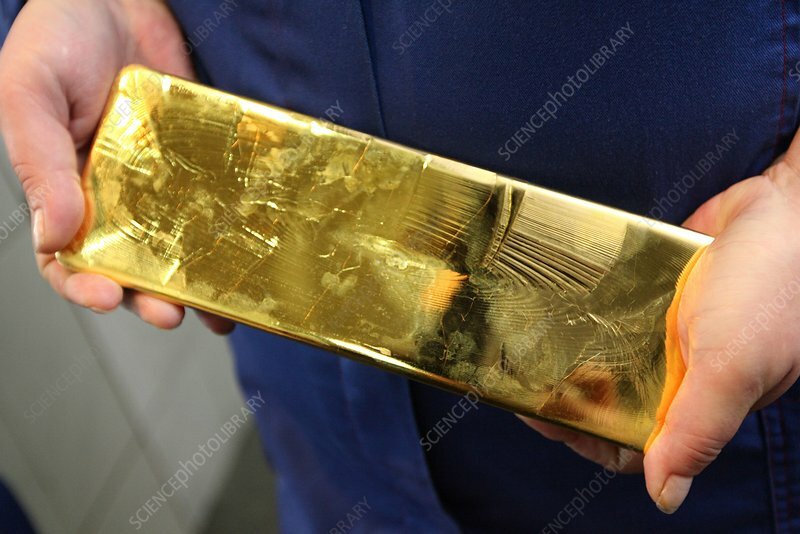 Worker holding a newly formed bar of gold at the Uralelectromed gold refinery. Photographed in Verkhnyaya Pyshma, Sverdlovsk Oblast, Russia.